If you can`t find what you are looking for you should have a look at the map below. If this does`t help you - bad luck. I think that the stuff you were looking for is simply not on my page. 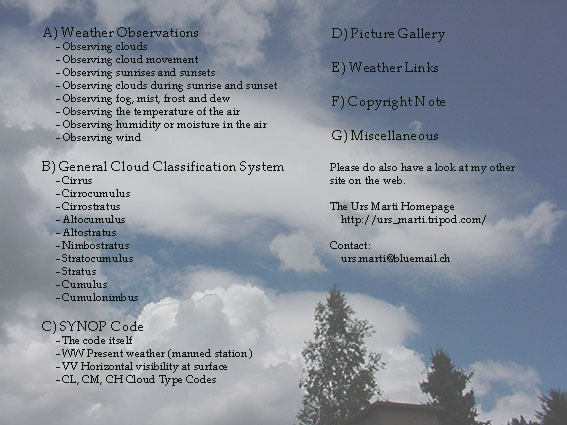 Attention: The purpose of "The Urs Marti Weather Site" is not to show you the latest satellite image of your region. If you are looking for a weatherforecast for your region your wrong here - sorry. But in the "Weather Links" section of this site you will find URLs to pages with weather predictions.